Hello Kre8tors! I went live on my Facebook page the other day and unboxed this BEAUTIFUL box full of goodies! I was a little hyped up on caffeine, so it got a little crazy! I also whipped up a card using the brand new Petal Palette Bundle! I quickly searched Pinterest for some inspiration and came across Lou Kitzelman’s post and decided to CASE her design. I believe she used the DSP that coordinates with the Petal Palette Bundle (which I didn’t get…yet…) so I substituted and made my own using one of the stamps. 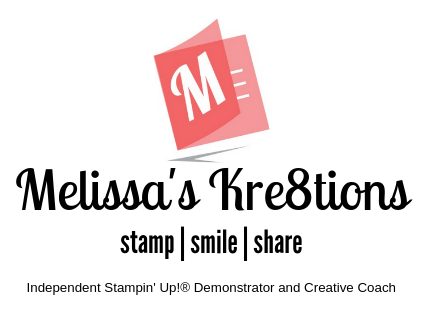 I had a lot of fun going live, and it’s been a long time since I have, but I’m excited to bring you more LIVE videos on my Facebook page, and I’m hoping to get back to Melissa’s Kre8tions LIVE on YouTube soon. I hope you enjoy this fun video!